My name is Kate Davis-Holmes aka Kate on thin ice. 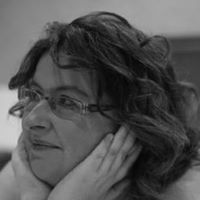 I am a freelance copywriter, blogger and social media consultant based dividing my time between England and France. I started blogging in 2009 on the suggestion of my late adoptive mother who felt it would help me to work my way out of post-natal depression. Little did I know that I was embarking on an exciting journey that would result in amazing memories, awards and trips to far-flung places including the United States of America. I have a strong interest in the wellbeing of women and in supporting the idea that mums matter. If I can encourage any mum to pursue her dreams, this blog is doing something worthwhile. I have two sons and a daughter aged 16, 13 and 11. We also have a handsome Beagle dog. Luke is bright and caring and like most boys his age has a passion for gaming. Laura loves creating things from songs and stories to art and design. Louis is charismatic and a great performer. He has a great appetite for life and also a lovely caring nature. I love reading, travelling and enjoying both cooking and eating great food. I have a taste for the retro and the quirky so can often be found at charity shops, car boot sales and flea markets. My perfect evening would be spent at the theatre. My finest hours include getting into Cambridge University to study Law, helping others via charitable work, walking on fire, doing a boudoir photo-shoot and becoming an award-winning blogger. I have an image of myself in my old age selling flowers by the sea. For me, the meaning of life is all about making memories that sustain both ourselves and future generations. People say that I am thoughtful, mischievous, hard-working, intelligent, creative, witty, down-to-earth and passionate about good causes. Bloggers have described me as inspirational, outstanding and food for the soul. Bloggers are a very kind and forgiving bunch! This blogger loves to work with brands, PR companies and charities. P.S. I am not a blagger but for one thing I wouuld quite possibly sell my soul. Health issues have led to me having terrible teeth spoiling my once beautiful smile so if a dentist wants to sort them out for me, this could become a dentistry site overnight!